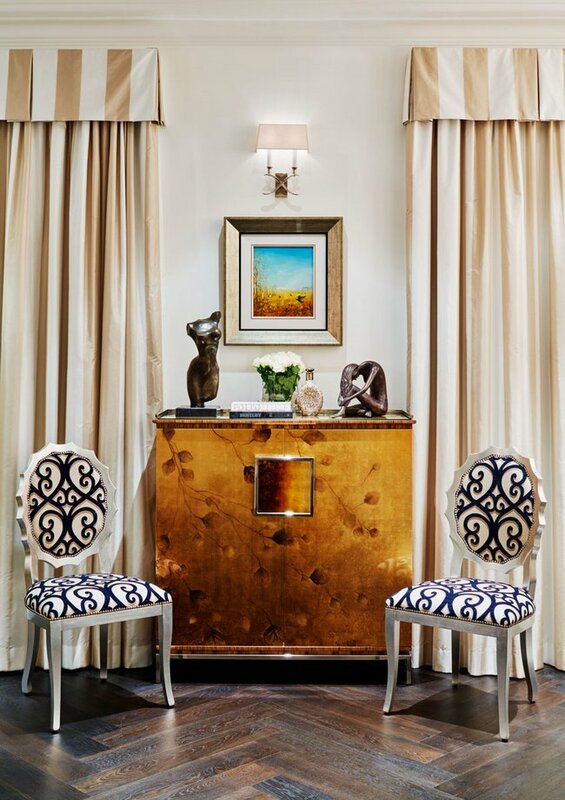 The stylisation of this one bedroom apartment is nothing less than genius. 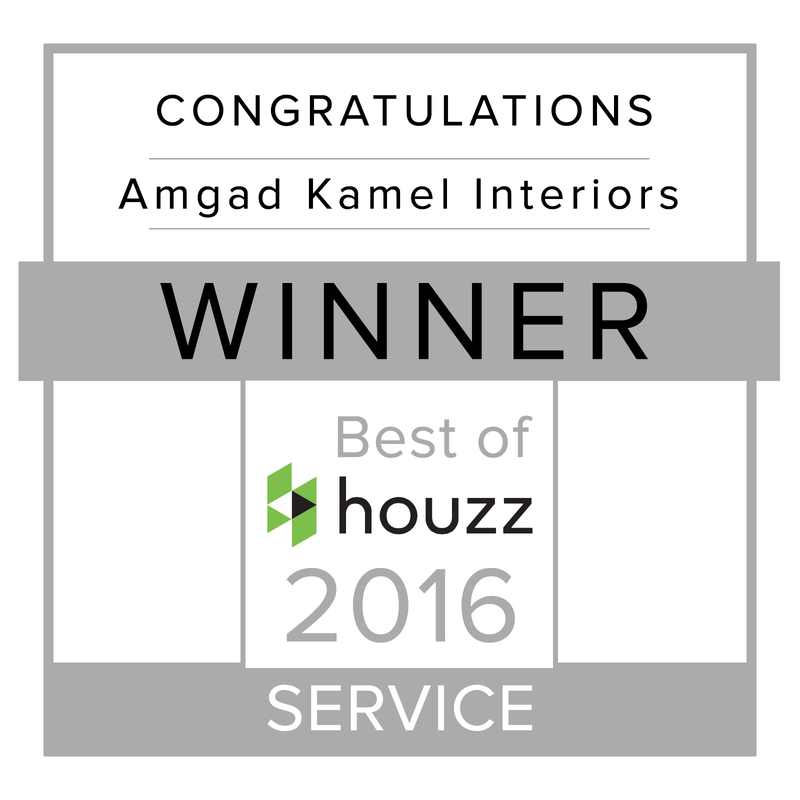 Amgad Kamel Interiors married chic and sophisticated artwork with the iconic early 1900s heritage building. 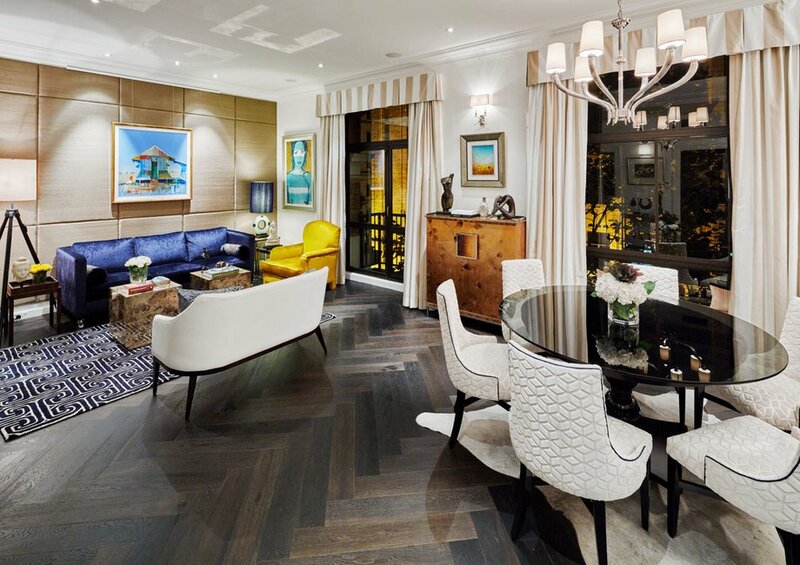 The result is a harmonious amalgamation that utilises artwork to give each room a kick of vibrancy. 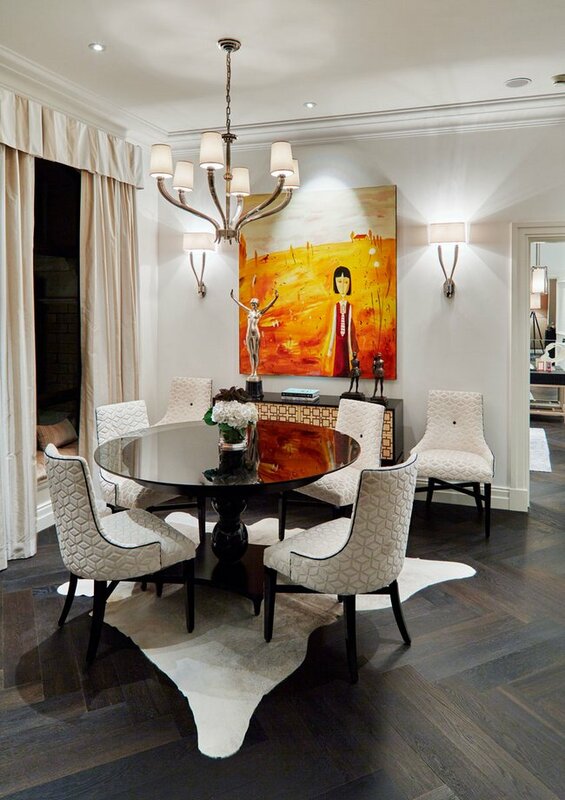 The dining area creates a simple backdrop for the statement artwork piece here. 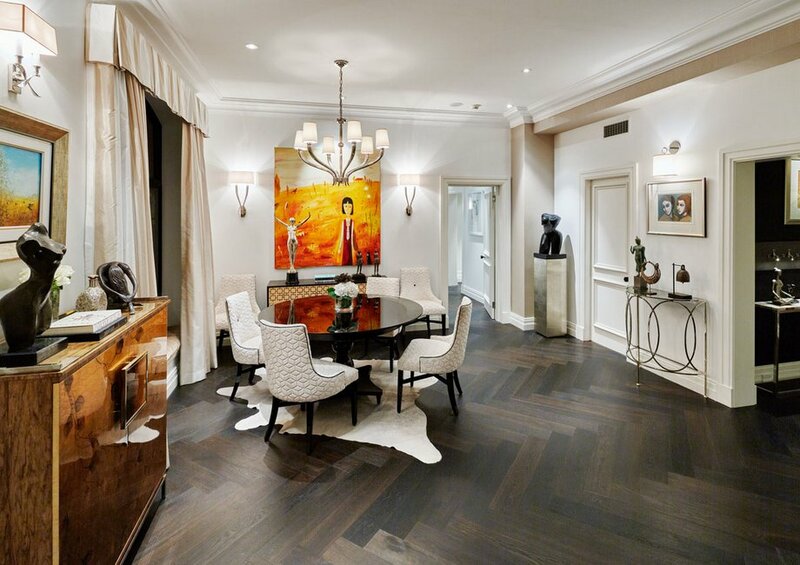 Dark brown and black timber floorboards, a white dining setting, and simple yet elegant cream and white walls create a sophisticated and subtle space that allows the artwork to pop. 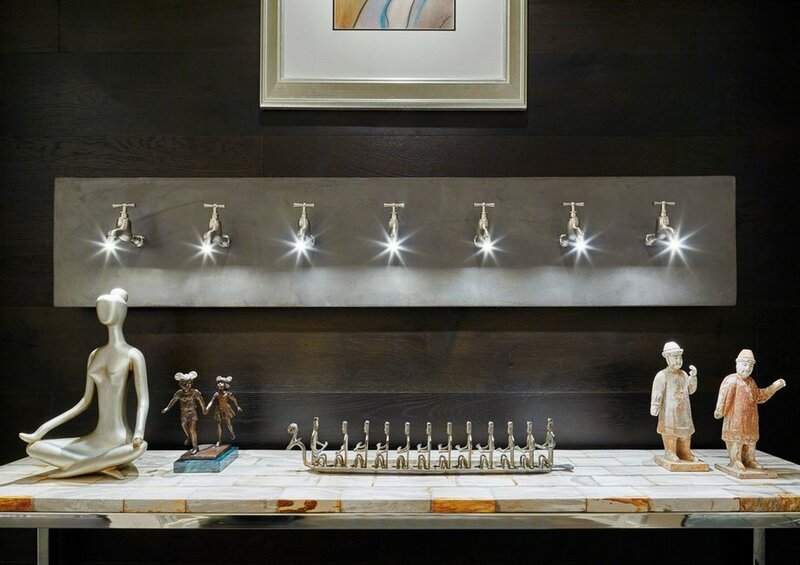 Effective lighting in the form of wall lights, an elegant pendant add warmth to the room, and aid in the illumination of the myriad paintings, sculptures and ornaments that decorate the room. 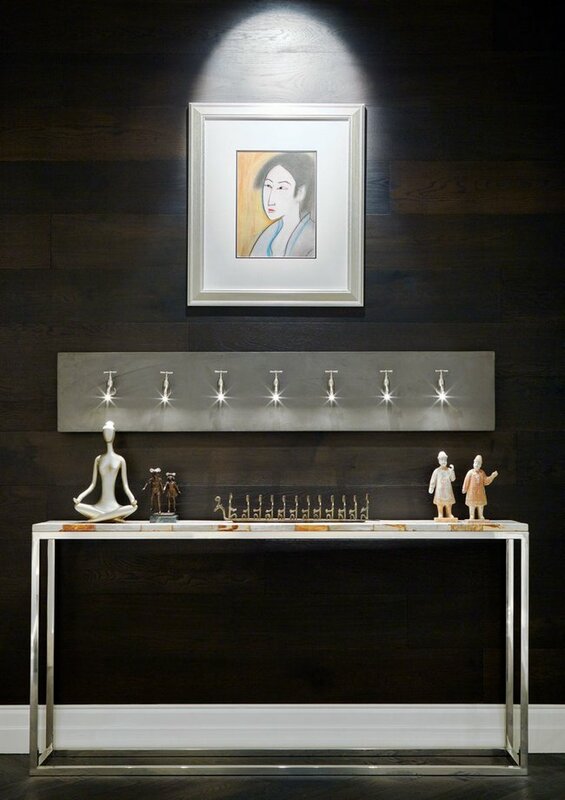 Mirrored walls are also used to augment the room scale interior. 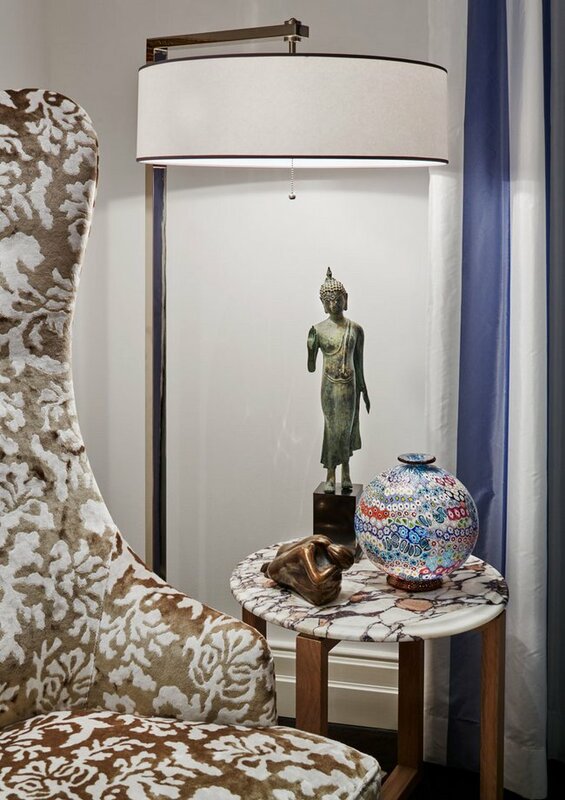 This is the case in the corner of the statement ‘tap’ light artwork, which sits above a side table adorned with ornaments and sculptures. 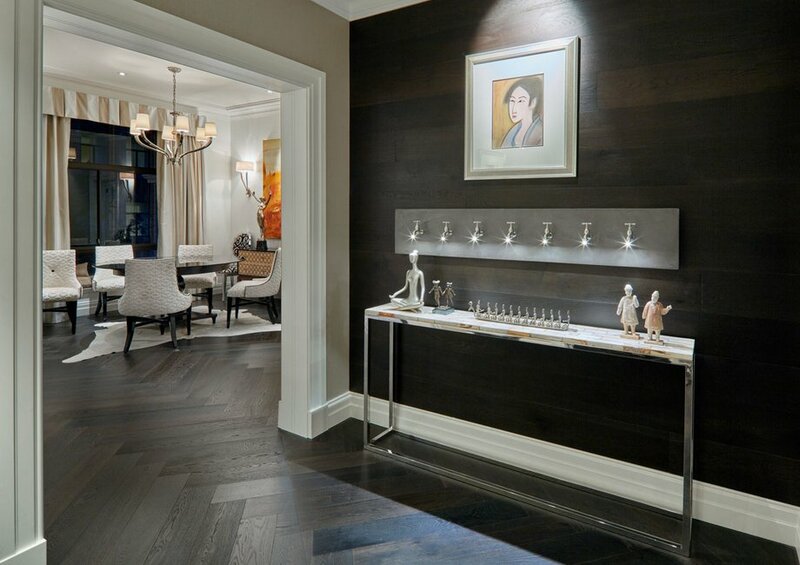 Again, simple, dark-brown timber wall and floorboards, as well as clean white trimmings, allow this artwork to steal the attention. 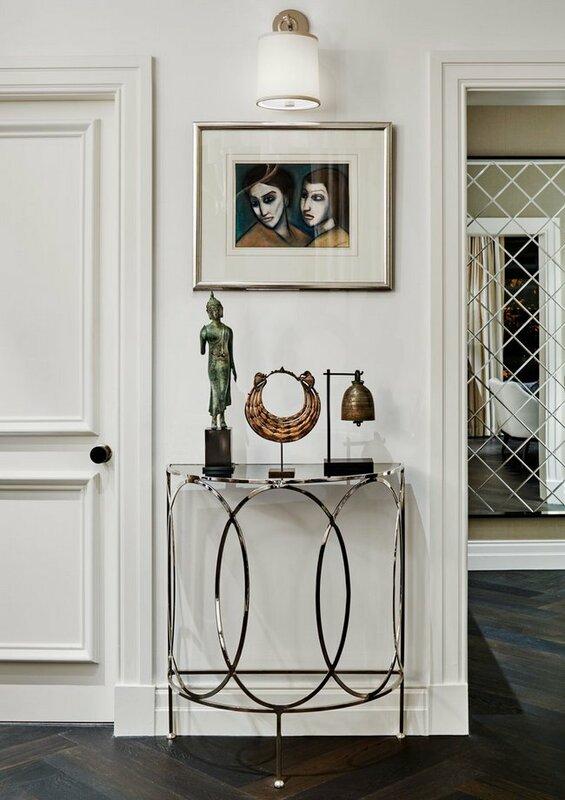 The criss-cross patterned mirror adds further sophistication and glamour to the space. 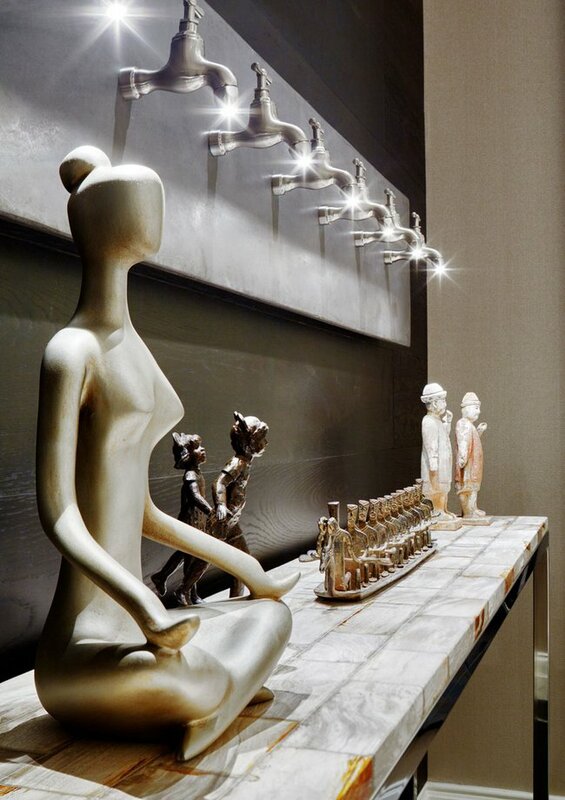 The refined living area’s innovative stylisation is something sure to cause envy in all visitors. It is vivacious, and yet, not overpowering. 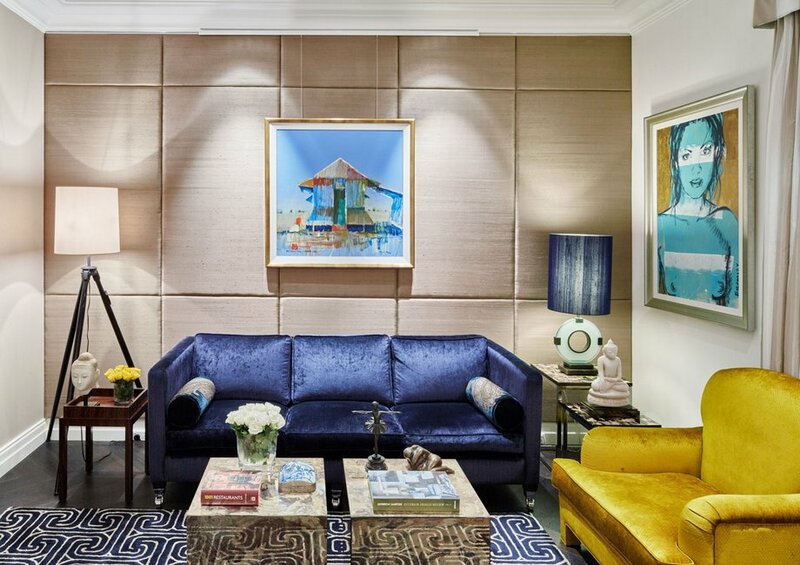 The plush gold armchair and rich blue sofa pick up on similar colour tones in the artworks with which they are surrounded. 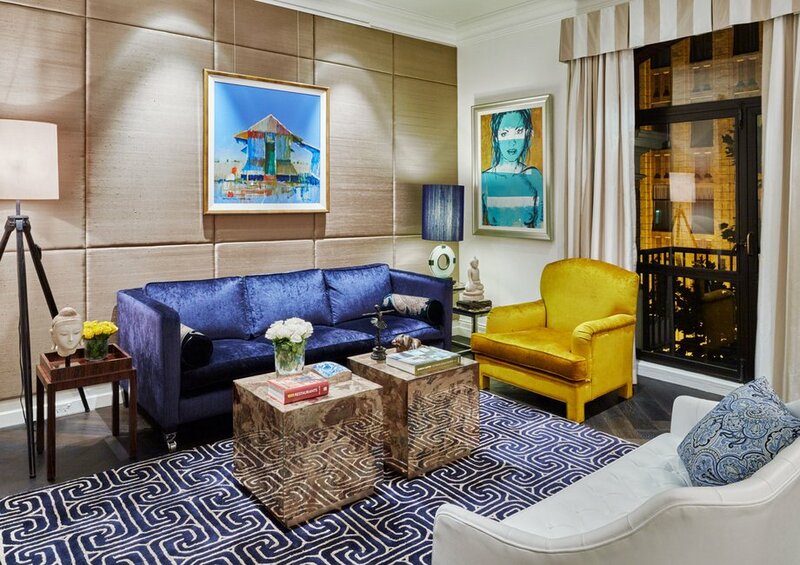 The blue hues in the rug and cushions are also tied in here, creating a harmonious colour effect that is truly stunning. 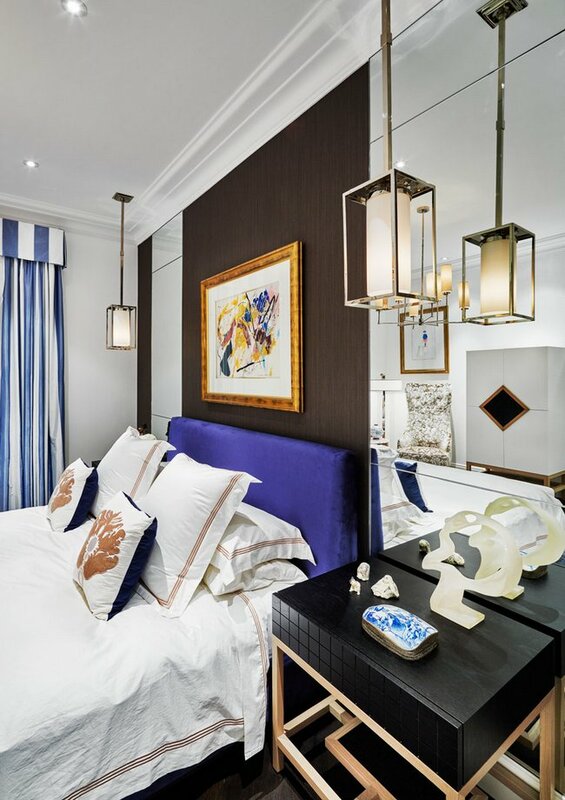 The stand-alone light adds a warm white light, whilst a blue-lamp shade adorned lamp adds further hints of colour coordination. 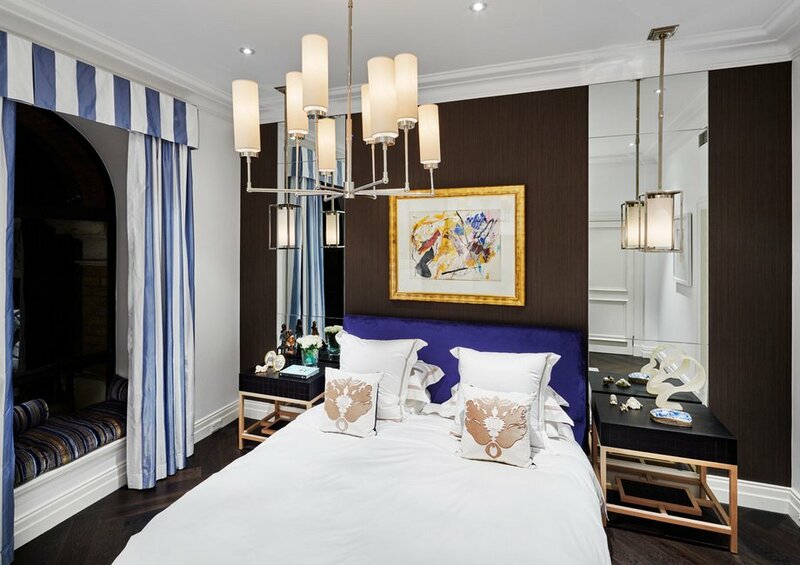 The blue colour motif is maintained in the bedroom, where a blue headboard, curtain and ornaments are balanced with a white colour leitmotif. The effect is an aesthetically appealing colour palette that retains its simple sophistication. 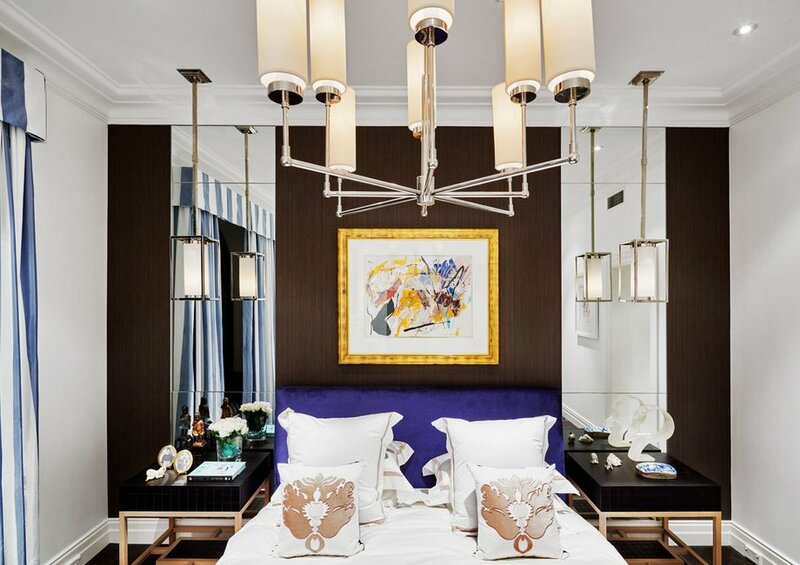 Mirrors and chic, geometric lights add a contemporary twist on the elegant and classic undertones of this bedroom. 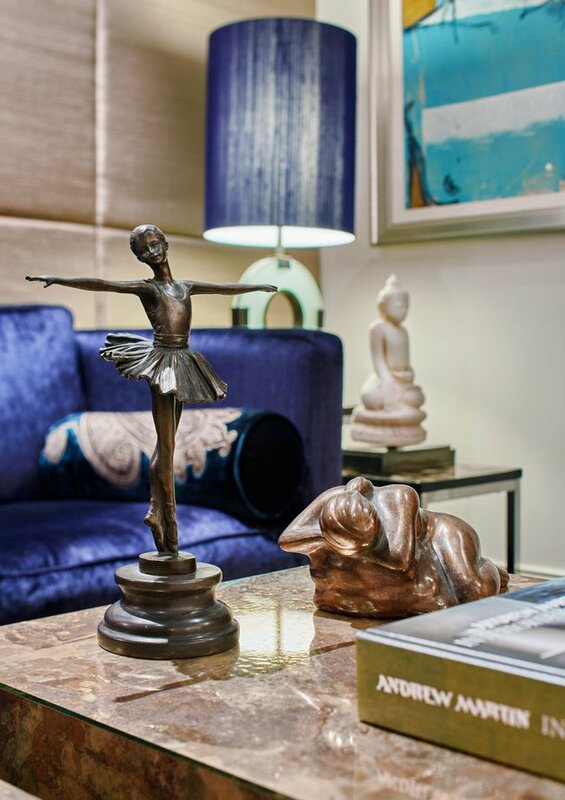 Attention to detail ensures this Broughton House City Pad speaks luxury, sophistication and a vibrant, masculine, contemporary interior and bespoke finishes allow for the successful integration of the client’s extensive art collection.